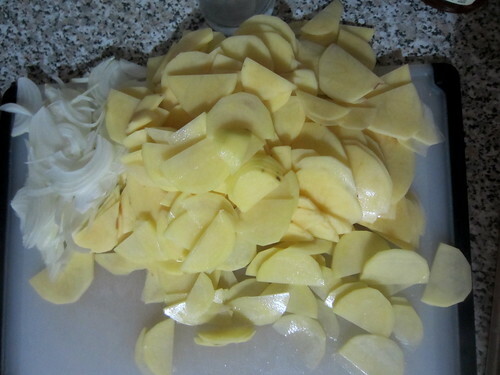 I first spent ninety-seven years slicing three enormous Yukon Gold potatoes (or U.K. Gold, if you are my supermarket and speak imperfect English) and one small onion. 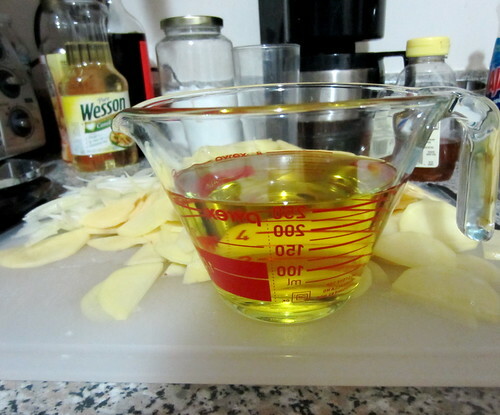 I can thereby attest that you should not make this on a weeknight unless you have a mandoline, which I do not. I am, however, an exemplary slicer. But it still took forever. I drained the oil using a colander over a bowl, added s&p, and let them cool a bit while I beat my seven eggs (!!!!). 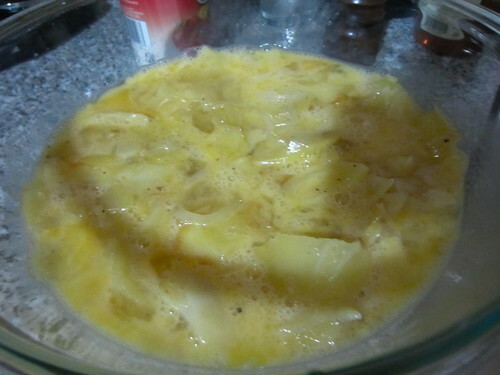 I added s&p and then poured in the potato/onion mixture. They mingled for ten minutes while I did my Russian homework. Я учу русский язык. 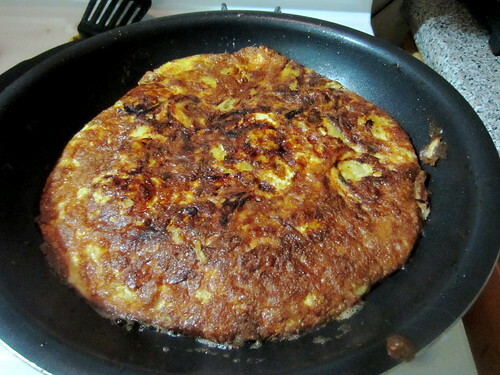 I added some oil back into the skillet, then added the egg mixture; I cooked for a bit, trying to let the egg run around the sides as she said, but the pan was so oily that the entire tortilla kept moving whenever I tried to do this. Once the top was mostly solidified (I’m sorry but I don’t even remotely remember how long this was… five, ten minutes?? 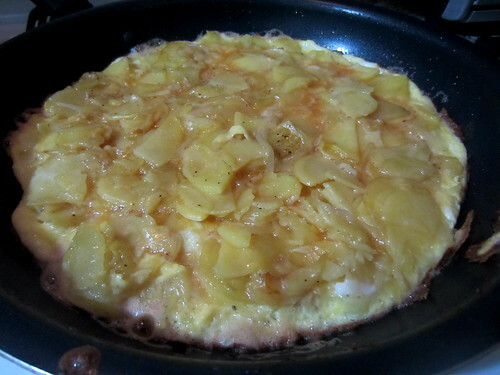 ), I spatula-ed it onto a dinner plate. That part wasn’t too hard—it came right out. 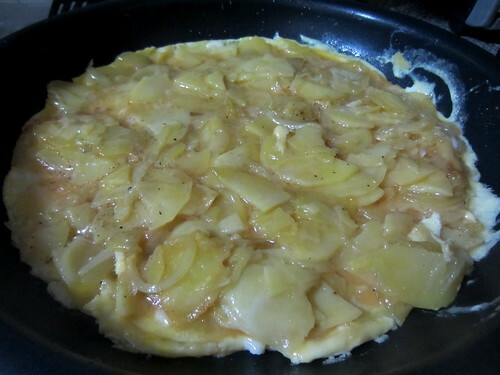 Then I turned the skillet over the plate. Then I went, what in God’s name do I do now. 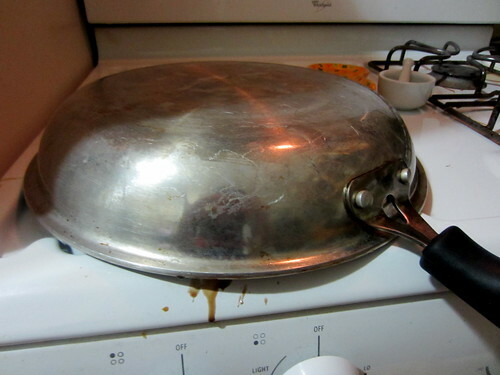 I think I just sort of stuck my oven mitt–encased hand under the plate, and then, with my other oven mitt–encased hand on the skillet’s bottom, flipped it over. It was actually not as hard as it sounds, but it was anxiety-provoking. Then it was done shortly thereafter. I didn’t think it would be that exciting-tasting, but it was REALLY GOOD. It was like… potato omelette… but in cake form… and it was weirdly addictive and I couldn’t stop eating it. That said, I can’t really imagine ever doing this again, but it was a good experience. And yummy. 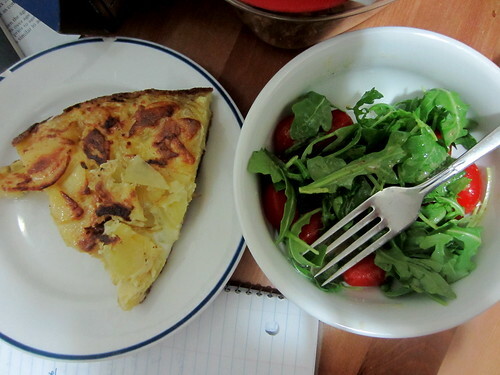 I ate it with arugula-and-cherry-tomato salad. Recipe from Smitten Kitchen; not adapted, so just look at it on her site. 2. 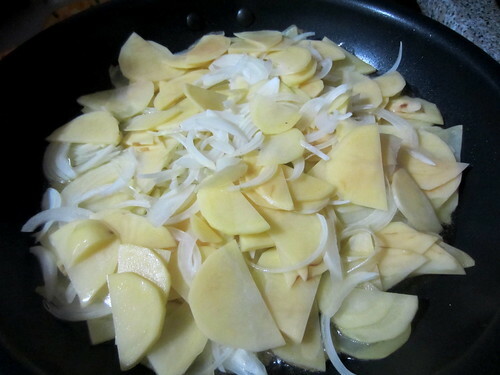 There are way too many potatoes. It tastes more like a carb course than a vegetable course. So it’s sort of weird to eat with rice on the side. It isn’t vegetabley enough. But I do like it, and if you want to, you may make it. Just add more spices. Or fresher spices. I think I’ll probably make it again, and/or experiment with it; it is a good combination of things. 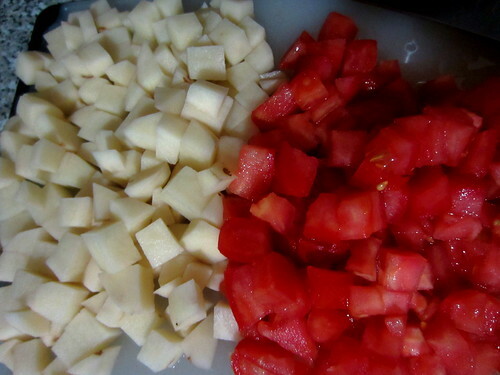 I diced my potatoes and tomatoes into approximately half-inch dice (this is pretty small; I wanted them to be close in size to the peas. They’re bigger, but pea-sized potato pieces would be a little insane). I have a very hard time taking photos of white food.